Michigan Attorney General Bill Schuette says Lansing District Court Judge Hugh Clarke is now unlawfully on the bench and has filled a quo warranto motion with the Michigan Court of Appeals to remove him from office. 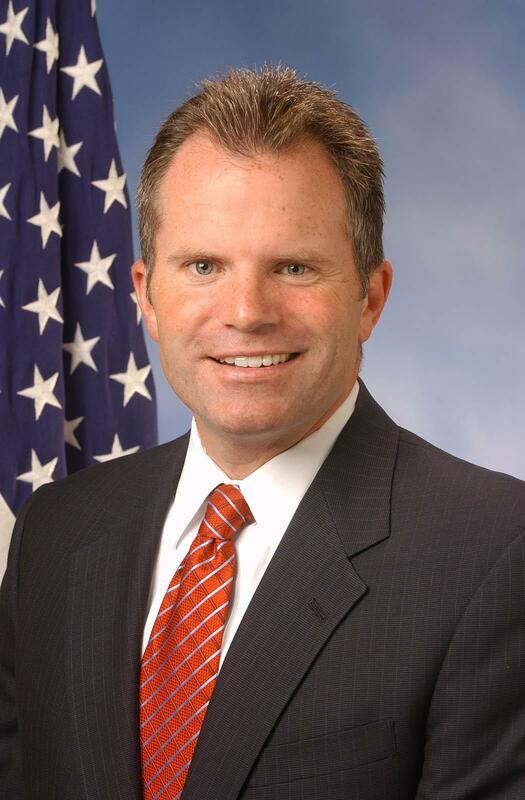 Clarke was appointed by the previous administration to the 54-A District Court (Lansing) on December 20, 2010. Furthermore, Schuette cites Kelley v. Riley as precedent that an appointee may not serve the next term of the person they replace. In Kelley, a majority of the Michigan Supreme Court granted quo warranto against then-Michigan Supreme Court Justice Dorothy Comstock Riley, a Republican. In that 1982 case, the Court ruled that Justice Riley could not serve the new term of the judge she succeeded by appointment by then-Governor Milliken. Justice Riley was removed from office and the next governor, Democrat James Blanchard, was entitled to appoint a new individual to serve the new term. Gov. Jennifer Granholm, in a sternly worded, hand-delivered letter, has told Attorney General Mike Cox to back off on participating in a Florida lawsuit challenging the federal health care reform bill signed into law earlier this week. [I]t appears that you have intervened in this lawsuit not merely in your capacity as the Attorney General of Michigan, but have presented yourself as speaking for the state of Michigan. If that is the case, this position appears to have been taken by you unilaterally, without consultation with my office and, so far as I can determine, without consultation with the executive branch agencies specifically charged with regulating health insurance and protecting the public health. The governor reminded Cox that he’s the attorney, she’s the client and, by the way, the constitutional boss, and he’s taking a position contrary to her interests. Under our Constitution, the duty of the Governor to enforce the Constitution and the laws of the state of Michigan is explicit and is superior to that of the Attorney General. This view is not only consistent with the position and actions taken by your predecessors, but with your own public statements over the past several years. For example, on March 12, 2003, you told The Detroit Free Press: And any case where the state of Michigan is being sued or a state agency is being sued, she’s the boss, she’s the client. Unless it is clearly unconstitutional, I am obligated to do what she [Governor Granholm] says. Two important changes since 2005, at least as the Florida lawsuit is concerned: Cox is running for governor and a significant number of Michigan voters don’t like the new health care law. Granholm told Cox to do an about face. I am directing you to intervene in the Florida litigation on behalf of the Governor, the state of Michigan, and the Michigan Department of Community Health to uphold the recently enacted federal health care legislation and to protect and preserve the important provisions afforded to our state and its citizens by the new law. Cox Spokesman John Sellek said the AG’s office didn’t receive it until around 5 p.m. Once Cox had it in his possession, he apparently didn’t think much of it. “It’s arrived, it’s somewhere here in a file folder,” Sellek said. In short, Cox has no plans to stop his suit against the federal government, Sellek said. The Attorney General is empowered to intervene on the behalf of the citizens of Michigan and that’s what he’s doing in this case, which is something — as a former attorney general — she should be aware of. Bill Schuette, a former Court of Appeals judge and currently senior counsel at Warner, Norcross & Judd, is sitting pretty in his quest to be Michigan’s next attorney general. Actually, he’s sitting on top of $402,740 in campaign contributions as of Dec. 31, 2009. In addition to the record amount of fundraising, Schuette’s donations came from 740 individuals. “The hundreds of donors from all corners of the state show the widespread support for a fundamental re-alignment with the way Lansing does business,” Schuette added. Schuette is a Republican and a Midland native. A former Detroit judge wants the Michigan Supreme Court to review a decision that allows her to be prosecuted by the state attorney general’s office. Mary Waterstone is charged with four felonies for her role in a Wayne County drug trial in 2005. She’s accused of allowing witnesses to lie. Waterstone wants the attorney general’s office off the case because it represented her in a separate but related civil lawsuit. Three courts so far have ruled against her. Attorney General Mike Cox announced yesterday the arrest of three men accused of swindling 125 Michigan senior citizens in a Ponzi scheme. According to a press release from Cox’s office, the trio sold the seniors — some of whom reported losing their life savings — time-shares in foreign resort properties. The problem is that they sold more time-shares than the amount that were available. The men were operating in multiple states, and allegedly took in some $350 million, including some $9 million in Michigan. Jeffrey Ron Mitchell, 39, of Walled Lake, Robert Valeri, Sr., 59, of South Lyon, and Robert Antonio Valeri, Jr., 32, of Canton allegedly participated with Indiana resident and scam mastermind Michael Kelly in a massive Ponzi scheme, selling time shares in the form of an unregistered security called a “Universal Lease” through a company called Resort Holdings International. They are accused of targeting senior citizens and retirees with marketing efforts that illegally promoted the lease as a safe investment opportunity with the promise of large monetary returns. While seniors purchasing the lease were allegedly given the option to use the vacation property during specified times over a 25 year term, they were also given the option of having a purported third-party management company arrange for the rental of the unit during the same time period for a guaranteed 9 percent return–whether the unit was rented or not. They were encouraged to elect the latter option and everyone who purchased the lease did. In reality, Kelly also controlled the third-party management company. Michigan Attorney General Mike Cox is set to be deposed this morning in U.S. District Court in the lawsuit brought by family members of slain stripper Tamara Greene. The lawsuit alleges that Detroit officials conspired to thwart the investigation into Greene’s April 30, 2003, drive-by slaying, which remains unsolved. Greene was rumored to have danced at a never-proven party in fall 2002 at the Manoogian Mansion.